Organic fertilizer tea can be made with compost, animal manure or green matter such as comfrey or stinging nettles. These teas have concentrated nutrients that are beneficial to your garden soil and vegetable plant growth. I have made these for my own garden and it makes a huge difference in how my veggie plants grow and produce. I recommend everyone take time to add this to your garden to do list. Makes your compost or animal manure go further especially if you only have a limited amount. Gives your soil nutrients that the vegetable plants can then use to boost their growth. Can reduce transplant shock when given to young transplants when they are first planted. Can control pests, insects and disease on your vegetable plants. Using plants that can be a garden intrusion such as comfrey or borage to make an organic fertilizer tea. 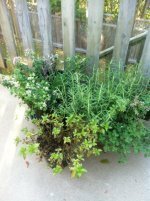 Fill a bucket or garbage can 1/3 full of fresh compost or animal manure (do not use cat, dog, pig or human waste) and then fill it full of water. Mix well, cover and let is sit overnight. This makes a rich brown liquid that can be diluted in the watering can or put directly on to your young seedlings, fruiting vegetables or in your containers and hanging baskets. Once you use all the liquid refill the bucket or garbage can with more water. It can be refilled until the liquid is no longer a rich brown color. 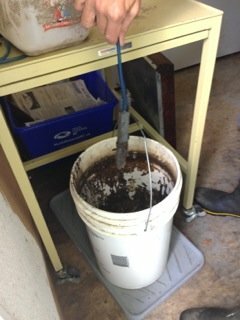 Put the left over sludge from the bottom of the bucket on to your compost pile and start over again with fresh manure or compost. Take a large bucket with a lid and throw in comfrey, borage, stinging nettles, Lucerne hay,grass clippings or a combination of all of these. For 1 part of green matter add 10 parts water. Cover with a lid. When the water is a rich brown or yellowish color it is ready to use, usually within a few weeks. As you use up the liquid keep adding more water until it no longer turns the brown or yellowish color. The sludge at the bottom is great to add to your compost pile or to put directly on your garden beds. 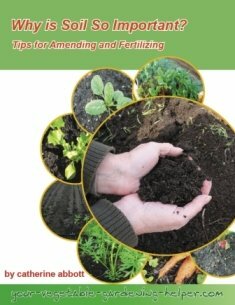 Get more information on individual vegetable fertilizing requirements.